Throwing a beer festival in Utah is not without its complications. Red tape, byzantine drinking laws and regulations, and a dominant culture that sometimes doesn’t even approve of Coca-Cola Classic means that putting together a major league brewfest is, each year, yeoman’s work. And yet, each year, the Utah Beer Festival happens, and each year it gets bigger and better. 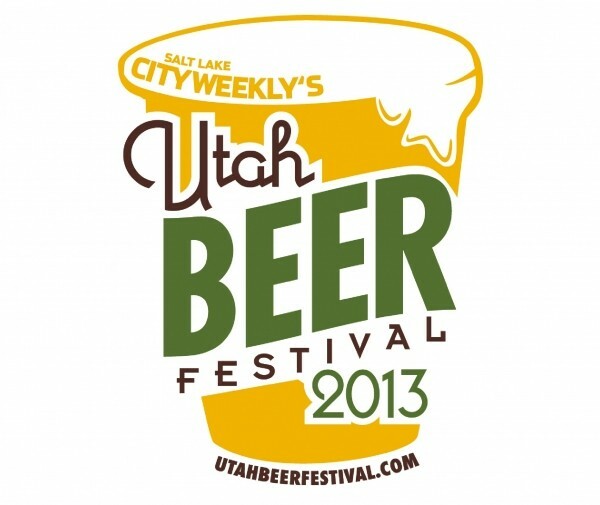 Although I have zero to do with producing the fourth-annual Utah Beer Festival, I’m proud to be associated with City Weekly, which does. What’s happening at this year’s Utah Beer Festival? Well, for starters, the 2013 edition will feature more than 125 local, regional, national and international beers from some 30 breweries: Wing Nutz (Nut Job Beer), Bonneville, Epic, Hoppers, Unsacred, Avenues Proper, Bohemian, Gordon Biersch, Deschutes, Tenth & Blake, Moab, Wasatch, Squatters, Roosters, Desert Edge, Uinta, Samuel Adams, Lagunitas, Sapporo, Stella Artois, Hoegaarden, Leffe Blonde, Boulevard, Crown Imports (Pacifico, Corona, Negra Modelo), Miller (Peroni, Pilsner Urquell), Radeberger, Firestone Walker, Shades of Pale and Red Rock. How does it work? Well, you’ll need to be at least 21 years of age and purchase an entry ticket ($15 in advance, $25 at the door), which includes admission, a souvenir tasting mug and five beer tokens. Yes, this is Utah, so you need to purchase drink tickets/tokens and trade them in for brews. You can purchase additional tokens for $1 each. A 12-ounce pour is three tokens ($3) and for full-strength, higher-alcohol beers, expect to spend four to eight tokens, depending on the beer. That’s the standard option. If you’d like to get a bit more highfalutin, there’s a $25 Early Beer Taster ticket, which gets you into the event one hour earlier than the general admission throngs, along with a tasting mug and eight beer tokens. Or, go whole hog with a $50 VIP ticket, which includes early admission, a tasting mug mug, access to the VIP lounge with special beer tastings and food pairings, and five tokens for the general festival tasting. There’s a huge variety of beers to be tasted, and the range includes everything from easy-drinking 4 percent alcohol-by-volume beers, including a lot of locally brewed beers, to Uinta’s Labyrinth Black Ale, which weighs in at a whopping 13.2 percent ABV! Beer styles run the gamut from Czech-style pilsner, American hefeweizen, and hoppy IPAs to porter, schwarzbier, double bock, KÃ¶lsch, chocolate stout, whit, pale ale, brown ale, red ale, lager and much more. There are some really enticing food choices to be made at the Utah Beer Festival as well. This year’s food options include menu items like Alaskan crab cakes with mixed greens or cilantro chicken pesto sandwiches from Rubadue’s Saucey Skillet; falafel, pastilla, shawarma, mohammara, hummus and more, courtesy of Cedars of Lebanon; buffalo, venison, elk, beef and veggie burgers by Marathon Concessions; spicy jerk chicken, jerk pork, curry chicken, veggies with rice & beans, and more from Jamaica’s Kitchen; a range of healthy tubesteaks from City Dogs; and, of course, the ever-popular pizza slices from The Pie Pizzeria. Wing Nutz, Snowy Awesome, Off the Grid SLC, Curried Away and 3 Brothers Tacos will also be on hand with food to help soak up the suds. To add to the enjoyment of all that beer, food and camaraderie will be a stellar lineup of live musical acts. And don’t forget: a portion of the proceeds from the fourth-annual Utah Beer Festival will benefit our furry friends at the Best Friends Animal Society. Cheers! Saturday, Aug. 17, 3-8 p.m.